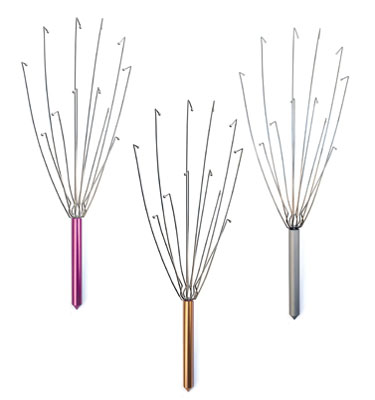 Gives your whole body a relaxing feeling when you massage your head with the soft-tipped stainless-steel tips. Handles are made of anodized aluminum. Assorted colors. Price per massager.